Swiss startup Sensimed has been given the green light by the FDA (US Food and Drug Administration) for its smart contact lens that aims to tackle glaucoma, a common cause for blindness. The smart doctor's aid, which is designed to be used by adults 22 years or older, uses a soft silicone contact lens that's embedded with a microsensor. It can be worn for 24 hours, so that means you can sleep with them as well. When worn the Triggerfish can measure intraocular pressure changes (IOP) with data transmitted wirelessly to an adhesive antenna worn around the eye. That information is sent to a portable data recorder which can then be sent over Bluetooth to your doctor's computer. This should help identify when pressure elevates, which is linked to optic nerve damage and is a characteristic of glaucoma. A decision can then be made on the best time of the day to measure that intraocular pressure and can hopefully help prevent further damage. Sensimed are of course not the only company seeking to smarten up the eye. Google has been developing its own life-changing smart contact lens aimed at diabetics to help detect and monitor blood glucose levels. Google struck a deal with drug maker Novartis in 2014 and is planning to start human tests this year. Unlike the Triggerfish lens though, Google hasn't been given the thumbs up by the FDA just yet. Discussions with the federal agency have already taken place though, back when Google first started working on the smart eye tech. 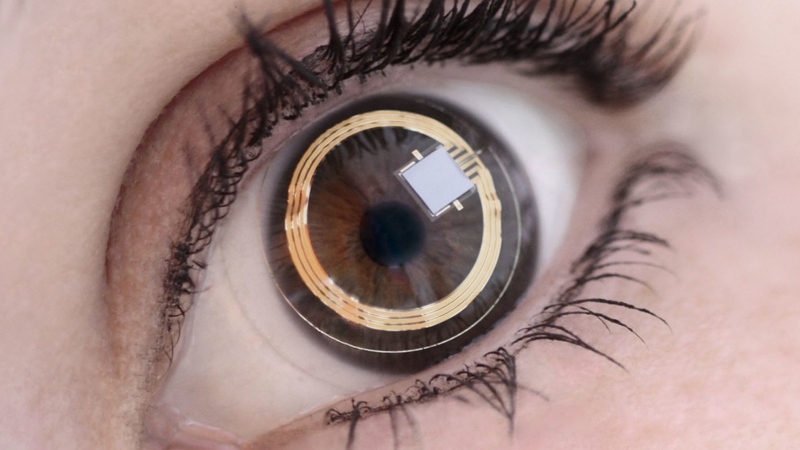 There's no news when Sensimed's smart contact lens will be in the hands of doctors, but when it does, it should signal yet another major breakthrough for wearable tech.